The American Dream has always been based on the hard work and visionary hopes of immigrants who want to build better lives for themselves in this country. Helmut Mueller, president and founder of Helm Tool Co. Inc. in Elk Grove Village, is a classic example. The vision of a more prosperous life pictured in a Sears Roebuck catalog brought the machine-and-tool builder and sometime-musician from Germany to America in 1965. 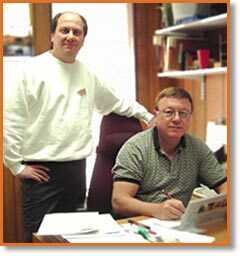 Mueller's solid technical skills, self-reliance, and determination to succeed eventually led to the formation of his own machine and tool manufacturing company. Mueller did not originally plan to make his living in the machine building industry. "I actually wanted to go into the merchant marines in Germany," said Mueller, "but after all my relatives expressed some concern about that, I changed my mind and studied machine building. I decided that some knowledge of Machine building would be useful if I ever did get the chance to join the merchant marines." Mueller was living in Berlin with his family, supporting them by working in Research and Development in Machine building, in his off time doing stints playing the trumpet and drums for a dance band, when a co-worker showed him a Sears Roebuck catalog he had been sent from a sister who lived in the United States. "My friend said he was moving to the U.S., too, because his sister really liked the higher standard of living there," said Mueller. "I studied that catalog to find out as much as I could about all of the different products available in America and how I could make a living in the U. S.
I knew someone who lived in Chicago and was willing to sponsor me if I moved there. It took a while to convince my wife, but we finally came to Chicago in 1965, after I promised her we could move back to Germany if she didn't like it here. "She didn't like it so much at first," Mueller admitted, "but things got better and we're still here." After various jobs in the automotive and tool-and-die-making industries, Mueller decided to strike out on his own in 1977, establishing Helm Tool Co. at 1290 Brummel Avenue in Elk Grove Village. "All of the education I had, including vocational school and the engineering courses I took at night while I was living in Berlin and Chicago, always stressed that the way to be really successful was by starting your own business," said Mueller. "It was always in my head that I wanted to do something that was my own." Helm Tool Co. manufactures injection, compression, and transfer molds; stack molds, and die cast dies. These tools are used for many different industries to produce items as diverse as bed pans, drug dispensers, plastic cups and cutlery, power tools, smoke detector housings, lenses, and reflectors. The company soon found a niche for itself by repairing foreign-made tools that had run into problems due to inferior steel or faulty design. As Helm Tool successfully built a reputation for itself, it eventually began to win larger design, prototype, and production jobs. Over the years, the facility on Brummel Avenue has expanded from 10,000 to 22,500 square feet. It currently employs 25 people, including Mueller's youngest son, Ralf. Helm Tool's early experience with repairing foreign-made, implements helped to strengthen Mueller's strong belief in the merits of domestic-made tools, which he says are ultimately comparable to or even more economical than tools that have been outsourced to low-cost foreign countries. "Many customers don't realize that there are actually hidden costs in foreign-made molds, such as Language, sending a local engineer to check and accept the Tool, in many cases there are no drawings, low quality Steel and parts, shipping, startup and maintenance expenses, which cancel out the initial low price," Mueller explained. "With new customers, I describe what I call the 'total cost of ownership' to them. I explain to them that we make products that may be a little more expensive up front, but that will last longer and give them service and therefore the cost less in the long run." To help his company compete with foreign outsourcing, Mueller has invested heavily over the years in state-of-the-art technology and equipment that shorten lead times and boost productivity. 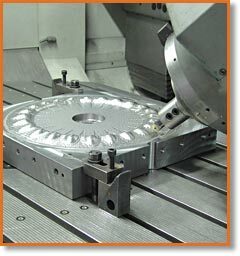 Some of the innovations Mueller has introduced into his shop include high-cavitations tools, high-speed machining, and a cutting-edge Computer-Aided Manufacturing (CAM) software system that allows the machines to run with a minimum of operator intervention. "Investing in this high-tech equipment is probably the most important thing I have done and the only way I can compete with foreign outsourcing," Mueller said. "It allows us to do more things at one time and do them faster, because we can leave the machines more unattended." All of Mueller's employees are cross-trained in the use of all of the machines so that they can pitch in wherever and whenever needed. Many of his staff have been with him from the company's beginnings because of the difficulty of finding workers who are expert in the machinist trade. "It is also very difficult to find younger people who are interested in this industry," said Mueller. "Part of it is because most kids today are told to get a college degree and become doctors or lawyers instead of going into a trade. And even if they are interested in becoming a machinist, many of them eventually end up in other industries because of the loss of so many manufacturing jobs in the U.S."
This decline in domestic manufacturing is Mueller's greatest concern for the future and one he actively tries to correct through participation in several industry and trade organizations, including the American Mold Builders Association (AMBA), the National Association of Manufacturers (NAM), the Tooling and Manufacturing Association (TMA) and the Coalition for a Prosperous America (CPA). "As a member of the CPA, I go to Washington once a year to talk to our state and national politicians about changing from free trade to fair trade with other countries," Mueller said. "If our politicians would fix the problem of the extra taxes, currency manipulation and tariffs foreign countries have, we could import to other countries and fix the trade Hugh Trade imbalance which works to our disadvantage, small businesses and manufacturers can help to rebuild our economy."